In this third article from the Feed2Milk series, we look at a practical example of how one Cheshire dairy farm is using the new SilageManager+ service. David and Colin Gleave are known for the quality of the silage they make at Peel Hall, in Kingsley, Frodsham, between Chester and Northwich in Cheshire. It has always served their 9,000- litre dairy herd exceptionally well. And while many other producers were caught out by wet weather last spring, the brothers were relieved to have their first cut grass safely clamped in near-perfect conditions before the middle of May. So, it came as a huge disappointment when they sent samples for analysis later in the year, only to find their forage fell far short of expectations. “To be honest, I didn’t think it was possible to make silage of the poor quality the analysis suggested,” says Colin Gleave. “We used the usual method of testing, wet NIRS [Near Infrared Spectroscopy], the same as we’d used every year for as ong as I can remember and the results basically said we had an ME [metabolisable energy] of 10.2 MJ/kg DM and low crude protein. “This in no way reflected the quality of the grass we knew we’d put into the pit, nor what we could see with our eyes when we opened the clamp and how we knew it was feeding,” he says. However, earlier this year, ForFarmers launched a more consistent and accurate form of silage analysis, SilageManager+, which over comes the difficulties seen in the old system. “One of the main problems with the old method is the high level of moisture present in the silage sample, up to 80%, which reduces the accuracy of the scanning process. 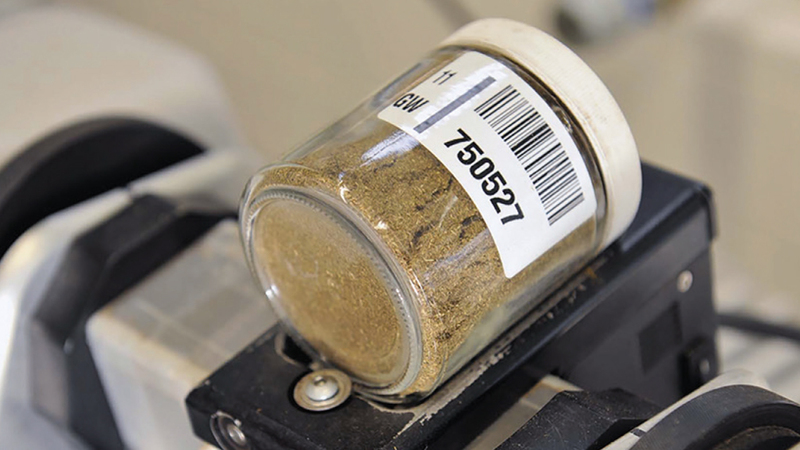 The other issue is a single scan, which increases the risk of missing key components in the silage sample, i.e. fibre, grain. “Another problem affecting the whole industry is ensuring a representative sample is taken from the clamp,” explains Mr Slawson. “Imagine, you are sampling around 500g but your clamp contains 1,000 tonnes.” “This means the forage analysed could be quite unrepresentative of the whole sample and of the whole clamp, but it could, nevertheless, form the basis of the result returned to the farmer,” he says. The new SilageManager+ service is based on dry NIRS, this involves drying the silage sample to remove all of the moisture. 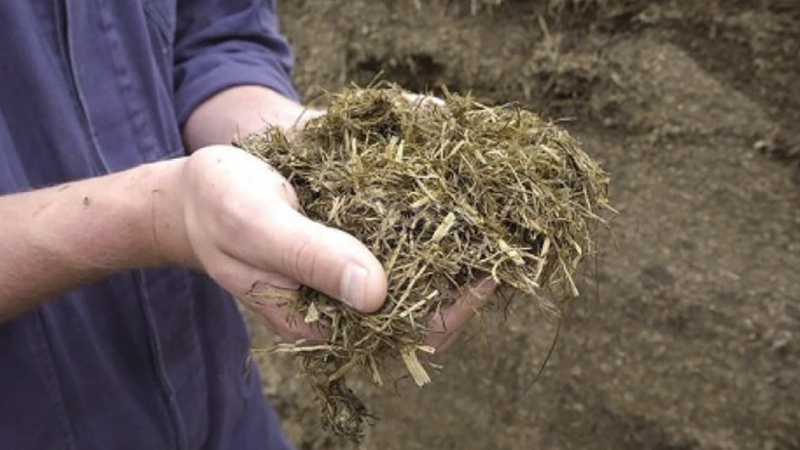 The dry forage is then ground to produce a homogenous mix and finally scanned multiple (>50) times, this means the entire sample is analysed – not just the surface of the wet silage, increasing the consistency and accuracy of the silage analysis process. In the case of the Gleaves, the new SilageManager+ service was used after the early disappointment, and gave a completely different picture of the silage. “The new figures were quite different,” says Mr Gleave. The new figures showed it was a high energy forage, seen specifically in the new figure MELK (More Energy for the Lactating Cow) which indicated it had a high milk yield potential. Furthermore, it was far higher in protein than initially thought, as measured by the new parameter of TDP (True Digestible Protein). “Key differences are that the new system of analysis identifies whether energy and protein will be quickly, moderately or slowly fermented, which gives us a far more detailed and accurate picture of how the forage will be broken down and utilised by the cow,” says Mr Slawson. Mr Slawson reformulated the Gleaves’ ration in accordance with the new analysis, and because of its improved TDP levels he was able to reduce crude protein levels in the herd’s compound feed. “Last year we were using a 25% crude protein [CP] compound feed in the parlour, in part because the overall diet contained low protein ingredients, fodder beet and fermented wholecrop silage,” he says. The switch to the lower protein feed has saved the Gleaves more than £21/t – a benefit they are seeing alongside improved performance. Daily production in their year-round calving herd has increased from 28 litres/cow in October 2016 (ForFarmers dairy costings) to 30.6 litres/cow in January 2017, with a commensurate 1.14ppl increase in margin over purchased feed. These figures reflect just two months on the newly formulated ration (the compound feed was changed in November), but expectations are that improvements will be sustained. Mr Slawson has worked over a cross-section of farms this winter and says the outcome of the more accurate silage analysis has varied from farm to farm. However, he says: “Reducing excess crude protein while maintaining True Digestible Protein has been the biggest win so far and seen big leaps in production. 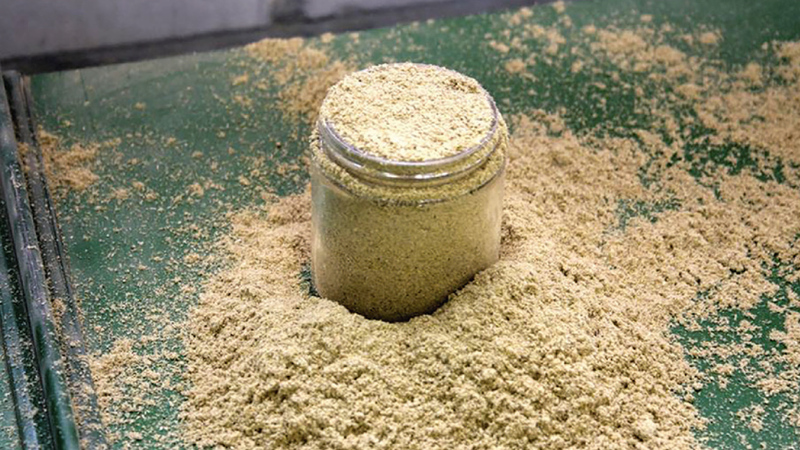 Crude Protein (CP), as the name suggests, is a crude measure of the amount of protein in a feed ingredient. As well as being a measure of protein, it also includes nonprotein nitrogen such as urea and ammonia. It is calculated by multiplying the nitrogen in the feed by 6.25. Total Digestible Protein (TDP) is a more refined measure of a protein, taking account of the speed with which it is broken down and where subsequent nutrients are utilised by the cow. It is a combination of microbial protein and protein that is not degraded in the rumen.